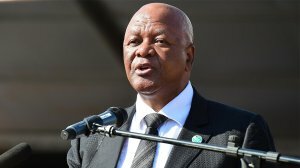 Energy Minister Jeff Radebe has confirmed that electricity consumers will pay 1.9c/kWh more by 2030 on a projected electricity tariff of 119c/kWh to accommodate the two independent power producer (IPP) coal-fired power stations included in the draft 2018 Integrated Resource Plan (IRP 2018) – a cumulative R23-billion. In a response to a question posed by outgoing Democratic Alliance Member of Parliament Gavin Davis, Radebe said the projects, which were procured in accordance with IRP 2010 and a Ministerial Determination published on December 21, 2012, were anticipated to begin producing electricity from 2023. Following the publication of the determination for the procurement of 2 500 MW of coal-fired capacity, government issued a request for proposals in December 2014. Only two bids, with a combined capacity of 863 MW, were received: The 557 MW Thabametsi project proposed for development near Lephalale, in Limpopo; and the 306 MW Khanyisa coal-fired power station project, located in Mpumalanga. The Thabametsi project is being pursued by a consortium led by Marubeni, of Japan, while ACWA Power, of Saudi Arabia, is leading the consortium selected to build the Khanyisa project. Both projects have come under sustained opposition from groups opposed to the addition of new coal capacity in a South African electricity system already dominated by Eskom’s fleet of 15 coal-fired power stations, including the Medupi and Kusile plants still under construction. These calls have intensified following the release of the draft IRP 2018, which shows that the least-cost new generation pathway for South Africa is a mix based on solar photovoltaic and onshore wind, complemented by flexible generation sources, such as gas-fired power plants. Therefore, Thabametsi and Khanyisa were included in the document only after policy adjustments were made to the least-cost IRP. Radebe stresses that government will not be providing any money directly to the IPPs, which are required to raise their own capital to build the plants.